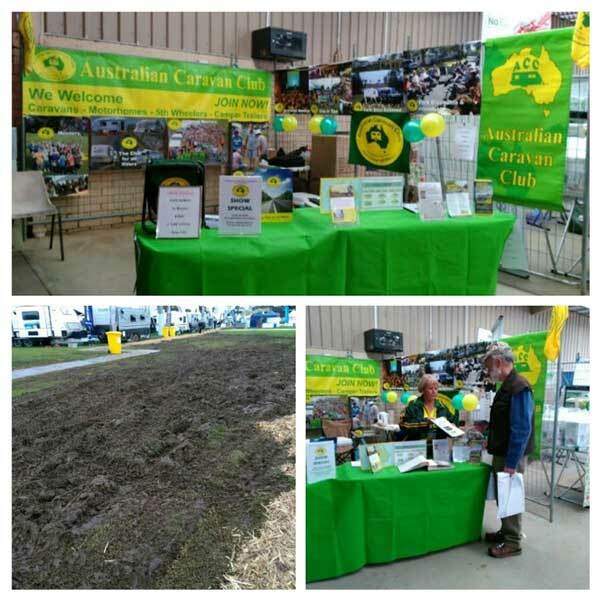 Advocacy for owners of recreational vehicles throughout Australia has become one of the driving forces of the Australian Caravan Club, it was announced this week at the Shepparton Showgrounds at the 10th anniversary national muster of the Club. 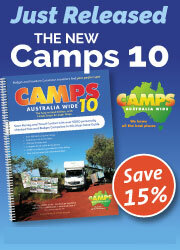 In its 10 years since formation in 2006, the Australian Caravan Club has evolved substantially. It has developed from being a new social oriented operation to one of substantial strength and weight in the RV Arena. While maintaining its social element, the Club’s focus has grown to include advocating for members and RV owners across Australia as a key component. “We do what we do because passion drives our members to continue to foster professional responses and input to issues across Australia affecting RV owners. There are no paid officials of the club undertaking this. Our members have a strong belief in what they do and seek to make a positive contribution,” said Mr Smith. As an example the Club has been integrally involved in the Liverpool Plains Shire Council efforts to encourage RV activities in the Shire. As a result of this significant input, Tom and the Club’s involvement is acknowledged in the report overview. Incoming Chairman Craig Humphrey has been invited by the Queensland Government to attend the State’s premier Tourism Policy event Destination Queensland (DQ) in Mackay later this month. “I was pleased to accept the invitation to DQ and importantly this will be my initial representation of the Club as Chair at this level. I view this as an important opportunity for the Club. I will be seeking to build on the great foundations that Tom has developed over the past 5 years,” said Mr Humphrey. “The Club has a proud history of being involved in many policy issues. We consider we have demonstrably achieved much and will continue to really punch above the weight for a young and all voluntary organisation,” Mr Humphrey said. 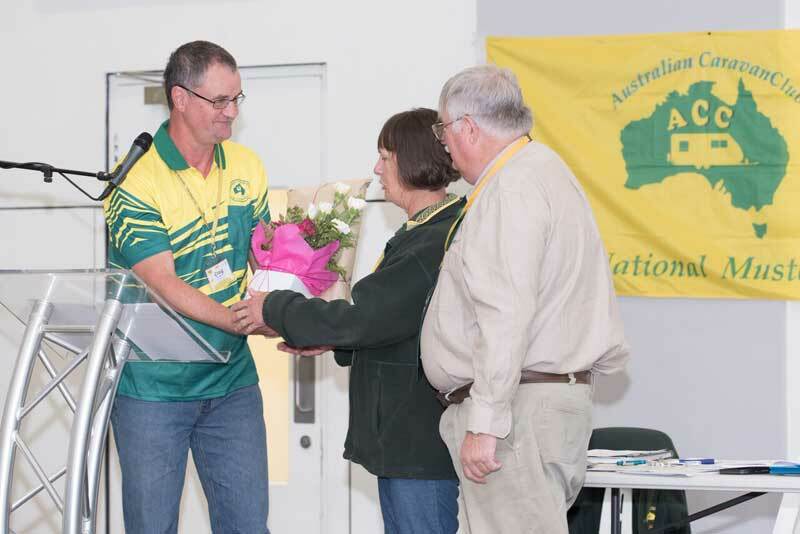 Incoming Chairman Craig Humphrey paid tribute to outgoing Chairman Tom Smith and his wife Sandra at the 10th Annual General Meeting of the Australian Caravan Club (ACC) held at the Shepparton Showground on Saturday. Mr Humphrey thanked Mr Smith and his wife Sandra on behalf of the 4,500 members of the ACC. Sustainable growth was the main theme of the Australian Caravan Club’s inaugural Futures Forum held during the Club’s 10th Anniversary National Muster at the Shepparton Showgrounds last week. “Over the past 10 years the growth of the Club has been well guided by the Board and a wonderful band of committed officials”, said incoming Club Chairman Craig Humphrey. “However the Board felt it important to harness ideas from members on achievable development options for the Club for the next two years." “Members were encouraged to think well beyond two years, with a possible five and ten year timeframe,” said Mr Humphrey. “Our Club highly values the views of its members and branches. The Board is looking forward to working with members to bring the outcomes from the Futures Forum to fruition.” Mr Humphrey said. 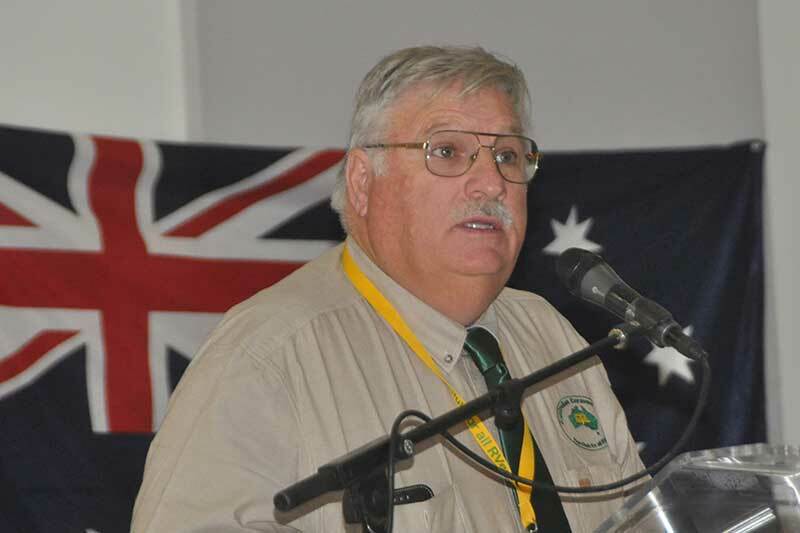 ‘Value for money, clean amenities, well maintained sites, and friendly staff are the criteria Kui Parks aim to deliver to caravanners, Bert Van Spronsen from Kui Parks said today when addressing members of the Australian Caravan Club (‘ACC’) at their Shepparton National Muster. 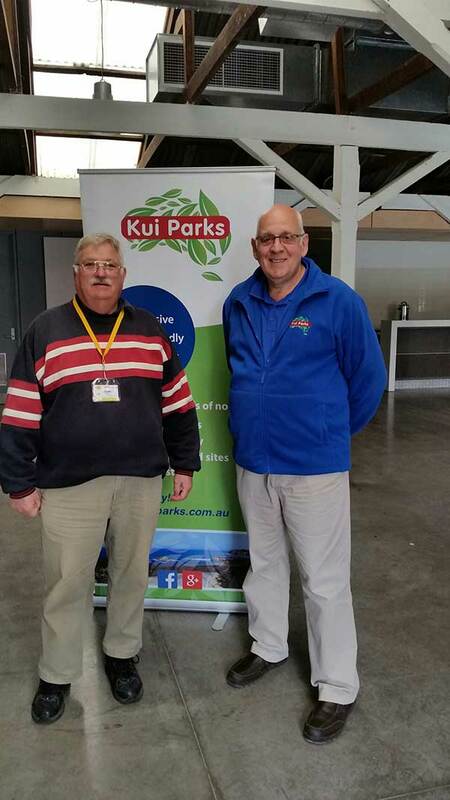 ACC members were offered a $10 gift voucher for use at Kui Parks if they signed up today. A large number of ACC members attending the national muster took up the offer. Mr Van Spronsen also urges ACC members to ‘Like’ Kui Parks on Facebook and check out Kui Park offers available at Kui Parks on their way home. Kui Parks offer a 20% discount off the cost of a 2 year Loyalty Membership for ACC members. 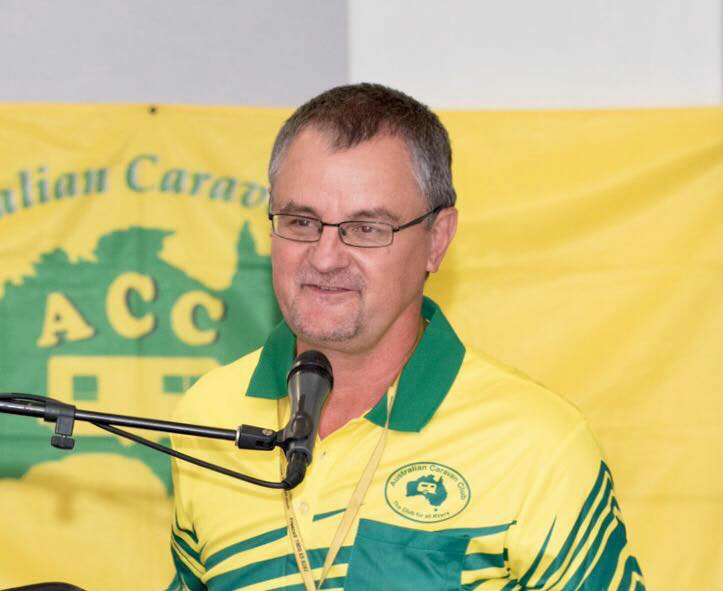 Long term Chairman of the Australian Caravan Club Tom Smith, today announced that he would be surrendering the Chairman’s role at the end of the Club’s Annual General meeting on Saturday 22 October 2016. 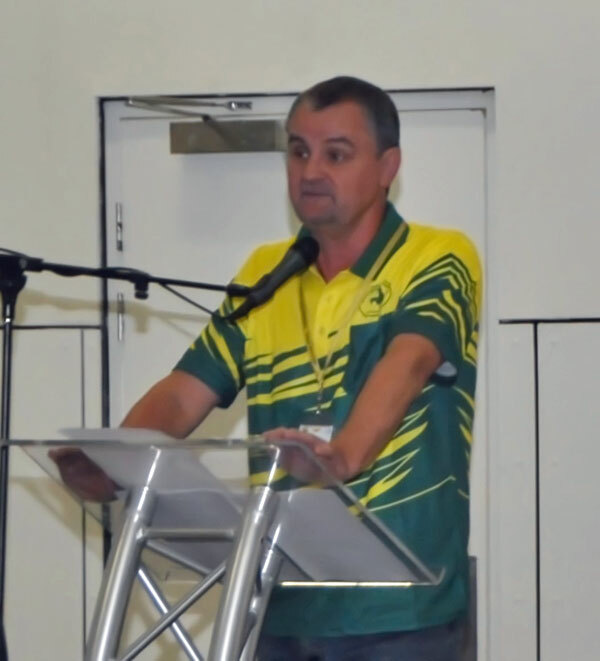 The announcement was made during Mr Smith’s address to Club members at the opening ceremony of the Club’s 10th Anniversary Annual Muster being held at the Shepparton Showgrounds this week. “Following this my main concern has been for an orderly and seamless transfer over the year. The Board indicated to members that succession was in the wind by naming then Secretary, Craig Humphrey as Deputy Chairman,” Mr Smith said. Mr Humphrey has been on the Board for seven years, and Club Secretary for the past five years. The Board has also undergone change with 2 new Directors – Graham Christie and Lynne Friis joining during the year. “I would also like to place on record my personal thanks and the Board’s appreciation for the great work given to the Club by Deb Cohen over four years and more recently Bruce Beausang, both of whom left the Board during the year,” said Mr Smith.